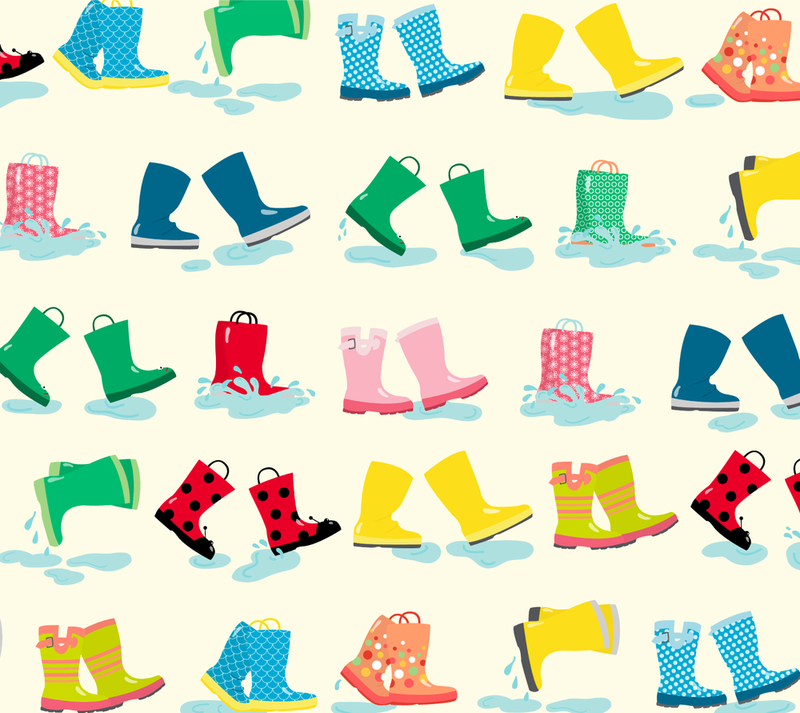 It's been awhile, but I've got another entry in a Spoonflower contest this week: Wellies & Galoshes. I love a good rain boot. So cute, so colorful, so good at keeping my feet dry while I slop around in the mud. Everyone needs a shoe that can be cleaned off with a garden hose. So I had fun with this contest coming up with a lot of different wellies to parade through the puddles. If you feel so inclined you can vote for me over here - just scroll through the entries until you see my design above, called Puddle Parade. Eventually it will be available for purchase through my Spoonflower shop. Thanks for voting! Go stomp in some puddles. Okay, maybe wait for the snow to melt, THEN go stomp in some puddles.